After a month out through injury, his spectacular overhead kick in El Madrigal on Tuesday night has underlined the importance of Emmanuel Adebayor to the Arsenal cause. Missing since pulling up with a hamstring strain in the Gunners 0-0 with Tottenham at White Hart Lane, the Togo forward has now returned in time to play a crucial role as Arsenal battle on three fronts. After being restored to the side for Saturday’s 2-0 victory over Manchester City, Adebayor quickly repaid his manager’s faith by netting both goals – which were created by the returning Cesc Fabregas. It will also come as no surprise that the Spanish playmaker was the supplier for Adebayor’s wonder strike against Villareal which has given Arsenal the advantage going into next week’s second leg. While most observers (rightly) bemoan the loss of Eduardo as a turning point in Arsenal’s disappointing season last year, the role of Adebayor is often overlooked. In fact it may turn out to be the turning point for a successful campaign this season. In the early part of the season, he was scoring for fun and was arguably one of (if not the) most influential players in the Gunners squad. His goals were largely responsible for Arsenal’s ascent to the top of the Premiership and it was only when those goals dried up that Arsenal started to falter. A major criticism of the Arsenal squad is that for all their impressive play, they lack a directness which often makes them fairly predictable to play against. In terms of getting the ball forward quickly, Chelsea have the strength of Drogba, Liverpool the pace of Torres and even at Manchester United, despite winning both the Premiership and Champions League last season, the purchase of Berbatov attempted to give them the target man that they had been missing. We have seen some fantastic strikers in Arsenal shirts over the years, from Ian Wright to Dennis Bergkamp to Thierry Henry. It would be, at the moment, quite a stretch to include Adebayor among those greats, but his importance to the current Arsenal squad cannot be underestimated. That Eduardo, Robin van Persie, Theo Walcott and Andrei Arshavin are fantastic players of that there is no doubt. But the power and presence of an on-form Adebayor gives Arsenal a different dimension which has often been found lacking on days when the flair players are below par. By his own admission, Adebayor has failed to recapture last season’s form. However, fresh from his injury lay-off, the Togo forward has certainly made a huge impact since returning to the team. With Arsenal’s key stars, including Fabregas, Eduardo and Walcott all returning fresh from injury, the prospect of this being Arsenal’s most successful season in years is certainly very real. Adebayor may well be the catalyst for such success. 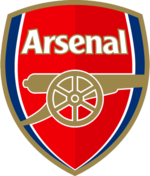 This article was written for Arsenal Analysis by Danny Watson, a professional sports journalist who blogs about football news. Adebayor when on form can be quite a handful and certainly can make the difference in our pursuit of trophies. Unless he starts thinking about the team and not himself then there will be no trophies for Arsenal.